Search engines are the real source of traffic for any website. They can send massive traffic to your pages through content keywords and images. 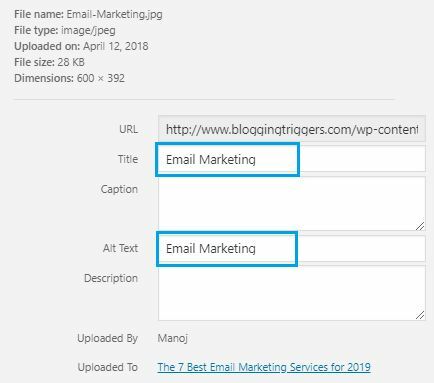 Search engine bots will read ALT tags of your images and display them in the results when a user searches with matching queries. So we should insert proper image ALT tags in order to make them search engine friendly. It means if your post is related to Facebook, the image alt tags should be something like Facebook or similar. We should take care of these two things while using images in blog posts. It should be simple, lightweight and resized according to your theme design and content type. 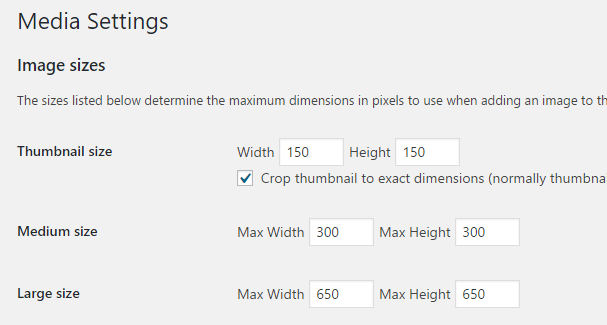 An image can be automatically resized in WordPress from the Settings panel. Choose the width, height for thumbnails and large images. Save changes. The images will be automatically resized on upload. The default settings are limited and you can’t do anything more than that. So it’s better to use a dedicated plugin to compress your blog images and speed up the site. WP Smush is an awesome plugin to do the job. It is a powerful tool that lets you resize, optimize and compress images in one click. It follows lossless compression techniques to process images stored in any WordPress directory. So you needn’t compromise on the image quality and will get high-quality output even after the smushing. When complete, you will get detailed statistics on the same screen along with the number of optimized images and total savings. Afterward, the plugin will automatically smush your blog images on upload. So you shouldn’t do anything on the image optimization thereafter. After uploading or inserting images in blog posts, select it. A small box will appear with alignment and edit options. Tap the pencil icon to edit the image. Enter your focus keyword on both title and Alt text fields. Repeat this process whenever you upload images on blog posts. So search engines can easily identify them and divert traffic to the connected posts. Do you want to go for an automated option instead of inserting keywords each time? Seo Optimized Images is one of the popular plugins to optimize your images for search engines. It will automatically optimize your future post images without any manual intervention.